SE-50.3D – new generation of 3D Tactical Air Defense Radars made by Sky Engineering reflects experience in tactical military radars manufacturing. 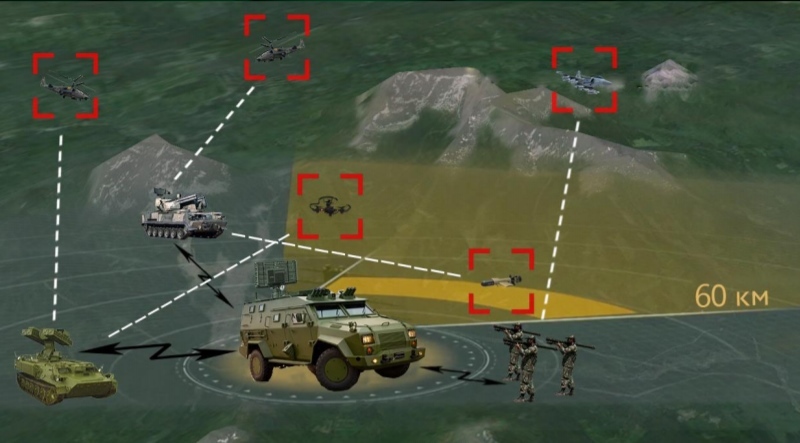 This 3D radar detects different types of flying platforms, including low level high-speed fighter aircrafts, hovering helicopters, UAVs and other low level high-speed objects. The radar provides accurate range, azimuth and elevation angle measurements for each target and route of objects. SE-50.3D can be operated as a local Air Defense System providing warning and target designation to surface-to-air weapon systems, including MANPADS. In addition, it can be also deployed as gap filler for supporting C3I centers for Air Traffic Control. Radar is able to make target autotracking in monopulse mode, to give high accuracy target coordinates, to provide weapon system control. Radar has got high degree of antijam performance caused by low power and digital signal processing. The signal emission frequency changes in each impulse and in large frequency band, that provides higher protection level against clutter-removing system.